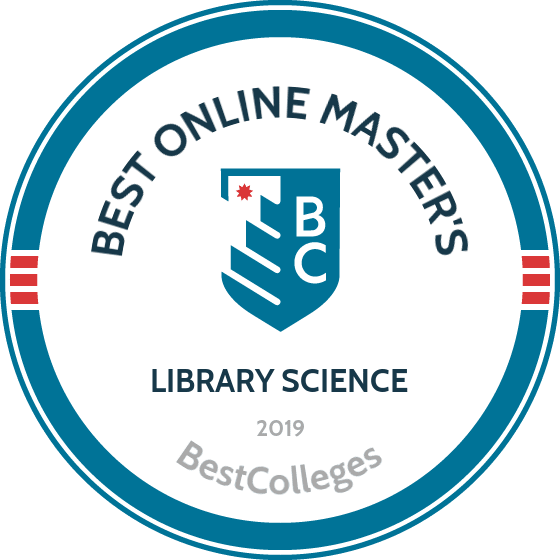 WHAT ARE THE BEST ONLINE MASTER'S IN LIBRARY SCIENCE PROGRAMS? What Else Can I Expect From an Online Master's in Library Science Program? The rapid technological advancement over the last 20 years has altered the meaning of librarianship and changed the face of libraries.The modern librarian, particularly those who work in public libraries, needs to be knowledgeable of books and technology. They need to understand what building a library's collection entails, from ordering to cataloging to enticing patrons to read. They also need strong research skills, knowledge of the latest technologies that people use, and an understanding of how to analyze and organize data. By pursuing an online master's degree in library science, you will gain these skills and knowledge. The Bureau of Labor Statistics reports that employment opportunities for librarians will only increase 2% between 2014 and 2024, citing budget cuts as the possible cause. While this seems discouraging, librarians are trained to be information experts, and a person with a MLS can find work in just about any industry that requires research or is information driven. Use this guide to further explore your options after earning your MLS. Note that some of the programs may have other titles including, master of information and library science (MILS), master of library and information sciences (MLIS), an master of information (MIS). No. You are not required to have experience working in a library to be accepted into most MLS programs. If your ultimate goal is to work for a library after earning your degree, getting your foot in the door as a page or volunteer before finishing your program is a good idea. The first thing you should look for when considering any MLS program is its American Library Association accreditation status. Most public and school libraries in the U.S. require degrees from schools that have been approved by the ALA. From there, consider what, if any, concentration you want to give your degree, how long you want to spend on your studies, and how far you're willing or able to travel for any in-person requirements. CAN I WORK WHILE I COMPLETE MY ONLINE MASTER'S IN LIBRARY SCIENCE? Yes. Most online MLS programs are taken part time and asynchronously, allowing you to continue to work while attending classes on your time. WHAT ARE THE ADVANTAGES TO EARNING MY MLS ONLINE? The biggest advantage to earning your MLS online is having the ability to complete the degree without having to move. The nature of the library and information field makes it conducive to online learning, and many professors in MLS departments are trained to teach their on-campus classes online. You will receive the same education as your on-campus counterparts without needing to move closer to an ALA accredited school. The master of library & information science at the University of Washington (UW) attracts practicing librarians and recent college graduates interested in entering the field. The program conveys a broad skill set applicable to many careers. Full-time students graduate in two years, with graduates going on to work as digital librarians, law librarians, and data curators, among many other fulfilling positions. This 63-quarter-credit, asynchronous program features identical courses to UW’s on-campus offerings. Core courses include organization of information and resources, instruction and training strategies for information professionals, and research assessment and design. The program concludes with two capstone courses, wherein students complete in-depth research into a library science topic. Although an entirely online master's library science degree, it allows students living in the Seattle area to take some courses on campus. All students must attend a three-day orientation on the Seattle campus before starting their online coursework. Students nearing graduation use the UW iSchool Career Fair to explore career paths and develop their resumes. UW hosts a monthly online information session for prospective students. Application requirements include transcripts, a personal essay, and three recommendation letters. UW recommends that applicants with less than a 3.0 undergraduate GPA submit GRE scores. All non-native English speakers must submit TOEFL scores. All online students pay the same per-credit tuition rate. UW awards merit-based scholarships, and need-based grants to eligible master's degree in library and information science online students. UW holds regional accreditation from the Northwest Commission on Colleges and Universities. The University of Illinois’ online master of science in library and information science program boasts six concentration options. These include data and asset management, archival and special collections, and information organization and management. Full-time students graduate from this asynchronous master's program in just two years. Graduates go on to work not only in libraries but also in healthcare, science, and business settings. In addition to the concentration options, the 40-credit curriculum provides students ample opportunity to customize their education. Distance learners may complete an independent study course under a professor's supervision. All students complete a practicum, and the university offers other, optional experiences where students gain practical, on-the-job experience. Students residing in or near Urbana-Champaign can take some courses on campus. The master's in library science online program does not require a thesis for graduation. Application requirements include a minimum 3.0 undergraduate GPA, three recommendation letters, and a personal statement. International applicants from non-English-speaking countries must submit TOEFL scores. The application deadline is September 15th for the spring semester, and December 1st for the summer and fall semesters. Transfer students can apply up to 12 graduate credits towards their degrees. Illinois residents save approximately 75% on their degrees compared to out-of-state and international students. The UI iSchool provides limited funding to some incoming online graduate students with financial need. UI holds regional accreditation from the Higher Learning Commission. The master of management in library and information science at USC attracts experienced librarians and prepares them for top library leadership positions. All courses combine classroom knowledge with practical experience. Full-time master's students graduate in five semesters. Students already holding a master's degree in a related subject may complete the university's shorter certificate program. Graduates work as library directors, regional directors, and public services managers. The 12-course, 31-credit curriculum includes coursework in management communication for leaders, fundamentals of library leadership and management, and research and professional applications. Courses in the core curriculum convey leadership, technology, and management skills. After core completion, students take two specialized courses of their choice. At the end of the program, students submit an electronic portfolio as part of a capstone course. All full- and part-time faculty possess advanced degrees, and extensive management experience in and outside the field. Application requirements include a bachelor's degree, GRE or GMAT scores, and a personal essay. Additional requirements apply to international applicants. All students pay the same per-credit tuition rate. Online students part of a racial minority can apply for a university-funded scholarship. USC's financial aid page provides links to private scholarships applicable to master's in library science online students. USC holds regional accreditation from the Western Association of Schools and Colleges. The master of management in library and information science boasts accreditation from the American Library Association. At the University of Wisconsin-Madison’s (UW) iSchool, students can earn their master of arts in library and information studies entirely online. This customizable master's in library science online program boasts six concentrations in areas such as librarianship, archives in a digital age, and information organizations. Students can also complete an optional certificate in organizational change or leadership. Full-time students typically graduate in two years. Regardless of concentration, all students receive a foundational education in pedagogy, collections management, and systems analysis. The program includes a practicum wherein students gain professional experience at a library in their home communities. Within each concentration, the asynchronous program boasts multiple electives, giving students greater ability to customize their educations. Some concentrations allow students to pursue a dual degree, which extends the program by an additional 1-2 years. Prospective students can view a virtual information session by visiting the UW website. Application requirements include a minimum 3.0 undergraduate GPA. Applicants may possess a bachelor's in any liberal arts background. UW does not require standardized test scores. International applicants must submit proof of financial capability to fund their education. The application deadline for the fall semester is February 1st. Although a public university, UW charges the same tuition to all online graduate students. Over a quarter of incoming students receive a $1,000-$6,000 university-funded scholarship. UW holds regional accreditation from the Higher Learning Commission. The master's in library and information studies has accreditation from the American Library Association. The master of information program at Rutgers boasts flexibility, small class sizes, and three start dates each year. Students select from four in-demand concentrations: library and information science; archives and preservation; data science; or technology, information, and management. Full-time students graduate in two years. Graduates go on to careers as information architects, digital archivists, and school librarians. The 36-credit curriculum includes foundation courses, general electives, and concentration electives. The program concludes with an ePortfolio capstone course. The core curriculum stresses information studies best practices and management principles. For each elective, students select three courses from over a dozen unique options. The program caps each course's class size to mimic the on-campus learning environment, and all professors possess doctorates. Students receive online tutoring, job placement, and advising services throughout their time at Rutgers. From the moment prospective students begin the application process, they receive assistance from enrollment coaches. These professionals track students' growth throughout the program. Application requirements include two letters of recommendation letters and a personal statement. The university does not require standardized test scores from applicants who earned a minimum 3.0 undergraduate GPA, or already possess an advanced degree. Although not a requirement, Rutgers highly recommends that applicants already work in the library or information sciences field. All online master of library science program students pay the same tuition rate and fees regardless of residency. Rutgers holds regional accreditation from the Middle States Commission on Higher Education. The University of Maryland’s master of library and information science program allows students to earn an advanced degree while still working full-time. The online program boasts five concentrations including diversity and inclusion, school library, and youth experience. These concentrations prepare graduates to work with children and adolescents in school and local library settings. Ambitious students can earn a dual-degree in history and library sciences, or a certificate in museum scholarship and culture. Full-time students graduate in two years. Students pursuing a certificate or dual-degree typically require an extra 1-2 years to graduate. The 36-credit, asynchronous program includes a core curriculum that features coursework in creating information infrastructures, and serving information needs. All courses take place at set meeting times in the evening. Full-time students typically take 2-3 courses each semester. Students complete either a traditional master's thesis or field study project. In the field study, students intern at a local library or similar setting. Applicants must possess a minimum 3.0 undergraduate GPA. Prospective students applying to the dual-degree program must submit GRE scores. Transfer students may transfer up to 12 outside credits towards their online master's in library science degree. Maryland residents save approximately 50% on their degrees compared to out-of-state students. UMD exempts online students from paying fees applicable to their on-campus peers. Online graduate students do not qualify for university-funded scholarships or grants. UMD holds regional accreditation from the Middle States Commission on Higher Education. The University of South Carolina offers a master of library and information sciences that provides students opportunities to personalize their education and prepare for their future careers. Applicants include licensed teachers, experienced librarians, and recent college graduates. Full-time students complete the program in two years. Graduates go on to work as school librarians, public affairs research librarians, and teen services coordinators. The program contains two components: nine hours of core courses and 24-27 hours of electives. This format allows students to create their own specializations in areas such as technology, research, and leadership and management. Throughout the program, students curate an electronic portfolio designed to attract potential employers' interest. Students holding a teaching license or certificate can enhance their education by earning a school library certification. Prospective students can apply for the spring, summer, or fall semester. UofSC requires applicants to submit GRE or MAT scores, two recommendation letters, and undergraduate transcripts that reflect a minimum 3.0 GPA. Transfer students may apply up to six outside graduate credits towards their online master's in library science degree. In-state students save over 15% on their degrees compared to out-of-state and international students, and those with a teaching license pay the lowest tuition rate. Comparatively low out-of-state tuition and minimal fees make UofSC an attractive option for prospective students from around the world. UofSC holds regional accreditation from the Southern Association of Colleges and Schools. Students choose SJSU's master of library and information science program for its customizable curriculum, practicums, and entirely online format. The program's flexibility allows students to fine-tune their educations to their career path. The vast majority of students graduate in fewer than three years. SJSU alumni work as children's services librarians and archivists. Although the 43-credit curriculum includes some synchronous components, students take most courses asynchronously. The 16-credit core curriculum features coursework in information communities, information retrieval system design, and online learning. In each course students add to their ePortfolio, a collection of work that shows students' proficiency with the program's learning outcomes. In the capstone course, students present their portfolios to professors and peers. Throughout the program, students can access online academic advising, career counseling, and technology support. Online students use the Canvas learning platform. Application requirements include a minimum 3.0 undergraduate GPA. SJSU does not require recommendation letters or test scores. International applicants may apply but may be required to submit TOEFL scores. Out-of-state students pay approximately double the in-state tuition rate. All online students also pay a technology fee each semester. California State University employees and their immediate families may qualify for a fee waiver. Incoming students interested in university scholarships should submit a scholarship application. SJSU holds regional accreditation from the Western Association of Schools and Colleges. The master's degree in library science program boasts American Library Association accreditation. At UB, students in the master in information and library science program receive a world-class online education that prepares them for many careers both domestically and abroad. The program boasts eight optional specializations that include music librarianship, and information storage and retrieval. Practica also give students the opportunity to apply classroom knowledge to real-life settings. Full-time students graduate in just four semesters. Graduates go on to careers at libraries and information-intensive organizations. The 36-credit curriculum includes three core courses: information life cycle, information users and uses, and introduction to research methods. Electives rotate each semester, and students should work closely with an academic adviser to plan a course schedule. Ambitious students can combine this master's degree with a law degree or master's of music. Those doing so take an additional 2-3 years to complete their educations. The program accepts students in the fall and spring semesters. UB requires applicants to possess a minimum 3.0 undergraduate GPA, provide three references, and submit GRE or MAT scores. The university does not require test scores from applicants with a minimum 3.5 undergraduate GPA. Students not meeting UB's GPA requirement may receive conditional admission status. International prospective students can apply, but may be asked for TOEFL scores. Out-of-state students pay only a slightly higher tuition rate than New York state residents. UB does not award scholarships to online graduate students. UB holds regional accreditation from the Middle States Commission on Higher Education. The master's in library science online program holds accreditation from the American Library Association. The MLIS master of library and information studies at the University of Alabama turns experienced librarians into the field's next generation of leaders. The program's cohort model promotes collaborative learning and networking. Courses take place at set times in the evening, allowing students to continue working full time. In-state students can pursue an Alabama School Library Media Certification. Cohorts graduate in two years, and many graduates use their degrees to work as administrators at their current job sites. The 36-credit curriculum includes 18 hours of core courses. The core curriculum includes coursework in research methods, information technologies, and user center information services. UA does not offer traditional concentrations, although the program's 18 elective credits give each student the opportunity to customize their educations. Full-time students take two courses per semester. In-state students working towards a media certification take a comprehensive exam shortly before graduation. Prospective students must apply by the April 1 deadline for that year's fall semester. Application requirements include a minimum 3.0 GPA, five years of professional experience, and MAT or GRE results. Before starting classes, students meet for a two-day orientation on the UA campus. International students may apply as long as they meet all application requirements and can attend the on-campus orientation. All students pay the same distance learning tuition rate. Some students may qualify for a university-funded scholarship or grant. New students must submit an additional application to qualify for these funding opportunities. UA holds regional accreditation from the Southern Association of Colleges and Schools, and the online master's of library science program boasts American Library Association accreditation. Like many universities, Syracuse uses the iSchool system for its library and information science online master's program. Students attend courses at set times with other distance learners, and perform group learning exercises. Along with providing an excellent education, this master's degree in library and information science online program promotes networking among students. The 36-credit curriculum includes three components: core knowledge and skills, electives, and a 2-3 day on-campus residency. The core curriculum features coursework in information policy and management principles for information professionals. In class, students learn how to manage information resources, implement new policies, and collaborate with community members, among other in-demand skills. As the program does not offer traditional concentrations, advisers help students select electives that align with their academic interests and career goals. Syracuse's application requirements include a 500-word personal statement, two recommendation letters, and GRE scores. Unlike other programs, Syracuse does not excuse applicants from submitting test scores. International applicants may apply to this rigorous program. All students pay the same tuition rate and fees. Online students who reside in New York state may qualify for a 25% tuition reduction. The university awards multiple, merit-based scholarships to incoming online graduate students. Finally, veterans and active military personnel benefit from exclusive scholarship opportunities. Syracuse holds regional accreditation from the Middle States Commission on Higher Education, and the master's program has American Library Association accreditation. ECU developed its library science MLS around those planning to work in North Carolina's rural communities. The program qualifies in-state students for a librarian certificate, which allows graduates to work in public schools. Graduates go on to work as information specialists, librarians, and museum service providers. At ECU library science students specialize in either school library or public library environments. The core curriculum features coursework in multimedia tools, and the latest technology in the librarian profession. Ambitious students complete an optional internship in their home communities. ECU uses the Blackboard learning system to deliver online course content. As ECU created the program with nontraditional students in mind, all students benefit from an asynchronous, flexible curriculum that boasts no set meeting times for courses. ECU provides prospective students with detailed information concerning recent graduates' career paths and salaries. North Carolina residents save approximately 75% on their degrees compared to out-of-state and international students. The university awards multiple, need-based grants and merit-based scholarships to online graduate students. Active military personnel and veterans qualify for further tuition assistance. ECU holds regional accreditation from the Southern Association of Colleges and Schools, and the online master's library science degree boasts both American Association of School Librarians and National Council for the Accreditation of Teacher Preparation accreditation. As of this writing, ECU's master's in library science online program is undergoing American Library Association accreditation. Full- and part-time students choose the University of North Texas' master of science in library science for its convenience, affordability, and flexibility. Courses in this asynchronous program do not use set meeting times, and Texas residents pay a competitive rate for each three-credit course. Although students take all courses online, the program requires students to attend a one-week intensive on the Denton campus. Full-time students graduate in approximately two years. Graduates can work as archivists and records managers, among other careers. The 36-credit curriculum features required courses, guided electives, general electives, and concentration courses. Student select from eight concentrations that include digital image management, information organization, and youth librarianship. After completing at least 12 credits, students register for a practicum at a legal, health, or school library setting. The program boasts a unique practicum placement for students who live in or around Houston. Students qualify for a practicum waiver if they live in a community without an appropriate placement. Learners who do not complete a practicum must take additional courses. Prospective students can apply for the fall, spring, or summer semesters. Application requirements include a minimum 3.0 undergraduate GPA and a minimum 3.5 GPA for all graduate-level work. Applicants with lower GPAs may receive conditional admission based on other merits. Other application materials include a statement of purpose and two recommendation letters. Texas residents save approximately 66% on degree costs compared to out-of-state and international students. All master's degree in library and information science students pay the same mandatory fees. UNT holds regional accreditation from the Southern Association of Colleges and Schools. The school library and information science MS online program at UHCL attracts experienced Texas teachers who want to help children in new and fulfilling ways. Full-time students can earn their degrees in 18 months, and graduates often find careers as librarians at elementary, middle, and high schools. The 33- to 34-credit curriculum includes foundational, core, and elective courses. In class, students gain in-demand skills in managing library collections, working with children of all ages, and collaborating with teachers. Near the end of the program, all students complete a school library practicum. Ambitious students can earn a master's degree with a Texas master technology teacher certification. This pathway requires 12 additional credits and one extra year for completion. Students must earn a minimum C grade in each course to remain in good academic standing. UHCL requires applicants to hold a minimum 3.0 undergraduate GPA and a Texas teaching certificate. Applicants to the school library science and information master's certification program need at least three years of teaching experience. As the program only accepts Texas teachers, it charges identical tuition to all students. Incoming students can apply for a scholarship that they can renew as long as recipients maintain a 3.0 GPA. UHCL holds regional accreditation from the Southern Association of Colleges and Schools. The master's in library science online program boasts accreditation from the Council for the Accreditation of Educator Preparation. One of the best master's in library science programs in the nation, Drexel's online master's in library and information sciences (MLIS) attracts students from all over the world. As a fully online program, it allows students who live in Philadelphia or the surrounding area to complete their education in a hybrid format. Drexel graduates go on to work in many librarian fields: user services, administrative services, and schools. The 45-credit synchronous curriculum includes four, 10-week quarters. In the program's first half, students take required coursework in organization of data and information, information professions and professionals, and data and digital stewardship. Through electives, students complete a specialization in digital technology services, information and data services, or user and community services. In the final quarter, students present a capstone project to professors and peers. To receive standard admission, applicants must possess a minimum 3.2 undergraduate GPA. Prospective students with lower GPAs may apply as long as they submit GRE scores. All applicants must provide one recommendation letter and a 500-word statement of purpose. Transfer students may apply up to nine outside credits towards their master's degrees. Drexel admits new MLIS students in the fall, winter, spring, and summer semesters. All students pay the same per-credit tuition rate. Online students with academic merit or financial need may qualify for university-funded financial aid. Active military personnel and veterans automatically receive a 25% tuition discount. Drexel holds regional accreditation from the Middle States Commission on Higher Education. The MLIS program holds American Library Association accreditation, as well. At Simmons, students in the master of library and information science (MLIS) program can concentrate in one of three areas: cultural heritage, archives management, or school library teacher. Students can even design a unique program in line with their academic interests and professional goals. Learners who live in or around South Hadley and Amherst, Massachusetts, can choose to take some courses on campus. Students who select a concentration complete a synchronous curriculum that features coursework in foundations of library and information science, evaluation of information services, and information services for diverse learners. All concentrations -- including the custom-tailored degree option -- boast at least one internship at a local school or public library. Students must maintain a minimum "B" grade to stay in good academic standing. All graduates leave the program with in-demand skills: helping users of all ability levels access library services, assessing a communities' library needs, and implementing an action plan to address those needs. Prospective students can apply for the spring or fall semesters. Simmons exempts applicants with 3.0 undergraduate GPAs or higher from submitting GRE scores. Other application requirements include a 1,000-word statement of purpose and three recommendation letters. The university occasionally interviews applicants over the phone or by Skype. All students pay the same per-credit tuition and activity fees. In addition to scholarships, the university awards need-based grants to incoming master's in library science online students. Simmons holds regional accreditation from the New England Commission on Higher Education. The library science (MLS) program at Appalachian attracts prospective students who want a flexible, part-time education that accommodates their other life responsibilities. The program prepares graduates to work as librarians in schools or in rural settings with few library resources. Full-time students graduate in two years, and dedicated students can combine the MLS degree with a master of arts in education media. MLS students can graduate in two years, while dual-degree students take 3-4 years to graduate. The 36-credit curriculum includes coursework in collection development and management, organization of information and critical issues in literature and media. In the final semester, students complete an internship or practicum in their home communities. Appalachian does not require a thesis or comprehensive exam. The program uses a mix of synchronous and asynchronous courses. In synchronous courses, students meet online once per week in the evenings. Appalachian's MLS qualifies North Carolina residents for the state school librarian license. Before starting the program, out-of-state students should check with their state's education department to determine whether the license transfers. Prospective students can apply for the fall, spring, or summer semesters. Applicants must submit GRE or MAT scores no more than five years old. Other required application materials include three references and official transcripts. Appalachian considers transfer credit on a case-by-case basis. In-state students save approximately 60% on their degrees compared to out-of-state students. Appalachian holds regional accreditation from the Southern Association of Colleges and Schools. The online master's in library science degree boasts recognition from the American Association of School Librarians. The oldest librarian education program in North Carolina, UNCG's master of library and information studies program boasts hands-on education and community involvement. Students can select from three specialization and certification options: the general program, the master's with school library licensure, or the master's with instructional technology licensure. The latter two programs qualify graduates for North Carolina licensure which may not apply in all states. Full-time students graduate in 2.5 years. UNCG's master of library and information studies program's 36-credit curriculum includes six required core courses and six electives. Students in the licensure concentrations take additional courses. Most courses maintain set meeting times in the evenings. In asynchronous courses, students and faculty interact through social networking. All specializations require practicums that allow students to gain practical professional experience. Throughout the program, professors and advisers work with students one on one to plan course schedules and research potential careers. Graduates leave the program with in-demand skills in archival management, information ethics, and information resources management. Prospective students can apply for the spring or fall semesters. UNCG accepts GRE and MAT test scores with application materials. Applicants with a minimum 3.5 undergraduate GPA do not need to submit test scores. International applicants from non-English-speaking countries must submit TOEFL scores. In-state students save approximately 66% on their educations compared to out-of-state students. UNCG holds regional accreditation from the Southern Association of Colleges and Schools. The online master of library science program also holds American Library Association and National Council of Accreditation for Teacher Education accreditation. The learning design and technology - library program at CU Denver conveys the in-demand leadership, technology, and pedagogy skills graduates need to work in 21st-century school libraries. In class, students learn how to use the latest learning technologies at their job sites. Full-time students can graduate in two years. Colorado students with an active teaching license may also receive a librarian endorsement. Teachers in other states should check with their education departments to determine whether Colorado's librarian endorsement transfers. Graduates who do not work in schools pursue careers as digital literacy coaches, information management consultants, and district administrators. The 30-credit curriculum includes a 90-hour practicum. Practicing teachers can complete this practicum at their schools' libraries. The synchronous program includes core coursework in school libraries in the digital age, managing school libraries, and promoting literature in schools. After completing core coursework, students select either an online learning or teacher leadership concentration. Students do not write a thesis but take a culminating exam at the end of the program. Throughout the program, an academic adviser works one on one with students to plan course loads and answer questions. Although not a requirement, the online master of library science program prefers applicants with active teaching licenses. Prospective students can apply for the fall, spring, or summer semesters. Application requirements include three recommendation letters, a personal statement, and the application fee. A public university, CU Denver charges in-state students 66% less on tuition compared to out-of-state students. Incoming students interested in scholarship or grant opportunities must submit an additional application. Active military personnel, veterans, and their spouses automatically qualify for financial aid. The master of library and information studies at OU prepares students to work inside and outside of education. Within a year of finishing the program, graduates can work as archivists, government librarians, and young adult librarians. Full-time students can complete the program in two years, and part-time students graduate in three years. The 32- to 36-credit synchronous curriculum includes six required courses in areas like information and knowledge society, organization of information and knowledge resources, and information and communication technology. The program includes an optional internship wherein students gain valuable on-the-job experience. OU master's students can select from three end-of-program assessments: a comprehensive exam, a thesis, or a portfolio. The latter two options include an oral defense in front of professors. To stay in good academic standing, students must maintain a 3.0 GPA. Online students can join campus organizations, including the Student Chapter of the Society of American Archivists. OU accepts new students in the spring and fall semesters. The program requires that applicants possess a minimum 3.0 undergraduate GPA and submit three recommendation letters. In some cases, applicants with lower GPAs may receive conditional admission after an interview. Applicants do not need to submit test scores. OU charges identical tuition and fees to in-state, out-of-state, and international online students. In addition, the School of Library and Information Studies awards scholarships to incoming graduate students. OU holds regional accreditation from the Higher Learning Commission. The online master's in library science program also holds accreditation from the American Library Association. The master of library science program at ESU boasts many advantages for students seeking a higher education who also work or raise families. This cohort program includes some hybrid components that students can complete at the university's Colorado, Kansas, Oregon, Utah, or South Dakota campuses. On-campus courses take place on the weekends, and full-time students can graduate in two years. The 36-credit program features core coursework in foundations of library and information science, organization of information, and collection development and management. Online students select from two concentration options: archives studies or informatics. The hybrid and on-campus programs offer more electives, including school licensure pathways. All students complete a capstone course at the end of the program. Unlike other programs on this ranking, ESU's master of library science includes a technology requirement elective. This elective prepares students to provide web and database design services for their future employers. Applicants must possess a minimum 3.0 undergraduate GPA, while those with lower scores must submit GRE, GMAT, or MAT results. Kansas students save approximately 66% on their educations compared to out-of-state and international students. However, program and course fees apply to all students. ESU awards the New Graduate Student Scholarship to incoming students who possess a minimum 3.5 undergraduate GPA and submit two recommendation letters. ESU awards other need-based grants and merit-based scholarships, as well. ESU holds regional accreditation from the Higher Learning Commission. The master's degree in library science online program boasts accreditation from the American Library Association. Licensed Iowa teachers turn to UNI's school library studies MA program to change their careers course. The program confers a K-12 teacher librarian endorsement. New cohorts begin each fall, and ambitious applicants can apply in early spring for early consideration. Students can graduate in two years and typically go on to work in Iowa schools with inadequate library services. These highly trained librarians can also enter careers as teacher leaders, instructional coaches, and technology integrationists. The 33-credit synchronous curriculum includes coursework in technologies for libraries, library resources for children, and organization of information. All students complete a practicum at their job sites and write a master's thesis. Students who miss a course may wait up to one year before resuming their education within another cohort. UNI uses eLearning software to deliver course content, and students can access IT support at any time of day. Although UNI designed its master's degree in library science online for Iowa teachers, out-of-state teachers may apply after checking with their state's education department concerning licensure reciprocity. Applicants should possess a minimum 3.0 GPA and teacher licensure; UNI occasionally admits students with lower GPAs. Applicants do not need to submit test scores but instead take a university writing test. UNI excuses applicants from this test if they already hold advanced degrees. In- and out-of-state students pay the same per-credit tuition rate. However, UNI charges 20% higher tuition to international online students. New students interested in university-funded scholarships should apply for this financial aid as soon as possible. UNI holds regional accreditation from the Higher Learning Commission. In 2019, Pitt launched an updated version of its online master of library and information science program. The university redesigned the program's curriculum to meet the library field's changing needs. The program stresses in-demand library skills, such as organizing data and using the latest technology to solve problems. In this part-time master's in library science online program, students can graduate in just two years. The 36-credit asynchronous curriculum includes four core courses and eight electives within which students can customize their degrees. Some courses require occasional set meeting times so that students can collaborate on group work. Pitt does not offer traditional concentrations or specializations but broad thematic areas that help students select the right electives. Online graduate students often help professors with research projects. Students take two courses per term, leaving them plenty of time to continue working full-time or raising families. To stay in good academic standing, students must graduate within four years. All applicants must possess a minimum 3.0 undergraduate GPA. The program does not make exemptions for prospective students with lower GPAs. Out-of-state students may apply, but the program does not accept international students at this time. In-state online students save approximately 40% on tuition compared to online out-of-state students. New students interested in financial aid should apply as soon as possible. Pitt holds regional accreditation from the Middle States Commission on Higher Education. The master of library and information science program boasts American Library Association accreditation. At Texas A&M University - Commerce, Texas educators enter the MS - educational technology/library science program to learn the latest school librarianship skills. The program qualifies Texas teachers for librarian certification. This flexible program allows students who already possess a master's degree to take only certification courses. Full-time students pursuing the certification and the degree take two years to graduate from this fully online master of library science program. The 36-credit synchronous curriculum includes coursework in developing general and specialized collections, administration of the school library, and applying instructional media and technology. Students working towards certification write a thesis and take the TExES test #150. Students must maintain a 3.0 GPA to remain in good academic standing. New students can begin coursework at any time, making this program a perfect option for students who want to finish their degrees as soon as possible. The program only accepts in-state students who hold Texas teacher or principal licensure. Applicants must possess a minimum 2.75 undergraduate GPA or a minimum 3.0 graduate GPA for consideration. Texas A&M University - Commerce does not require standardized test scores or recommendation letters for admission. As only in-state students may enter this program, all students pay the same low tuition rate. New students interested in university-funded scholarships must submit a separate application. Texas A&M University - Commerce holds regional accreditation from the Southern Association of Colleges and Schools. Students choose the master of library and information science program at WSU for its three exciting concentration options: library services, information management, and archives and content management. Students take all courses online, but those who live near WSU's Detroit campus can complete the program in a hybrid format. Full-time students can graduate in two years. Ambitious students can combine this degree with a master's in history or public history. Dual-degree programs require an additional 1-2 years. The 36-credit synchronous curriculum includes 18 credits of core courses and 18 credits of electives related to the concentration. Core coursework includes information technology, access to information, and organization of knowledge. Each concentration boasts unique courses and learning outcomes. All students create an electronic portfolio that contains work examples and a reflective essay. Many students use these portfolios when applying to jobs. Prospective students with a minimum 3.0 undergraduate GPA can apply for unconditional admission. Applicants with 2.5-2.9 GPAs may apply for conditional admission if they submit standardized test scores. Other application requirements include a personal statement. WSU considers transfer credit on a case-by-case basis. The university accepts new master's in library science online students in the fall, winter, and spring semesters. Michigan residents save approximately 50% on their educations compared to out-of-state students. International students may apply, and some Ohio and Canadian students may also qualify for lower tuition. WSU holds regional accreditation from the Higher Learning Commission. The online master's in library science program boasts American Library Association accreditation. A master's in library science online prepares students for careers in library administration, archives and manuscript collection, and more. The following information provides students with a general overview of what they can expect when pursuing a master's of library science online. Archival Studies With a concentration in archival studies you will learn how to manage archives and records. You will become familiarized with various storage methods and the challenges of archiving electronic records. Digital records manager, digital imaging technician, and file archivist. Digital Libraries This specialization focuses on the operation of digital libraries. Students learn how to design databases and standardize information technology for eBooks and web use. Distance learning librarian and emerging technologies specialist. Below you will find a sample curriculum that is offered by most master's in library science online programs. While coursework may vary depending on the program, these foundational courses cover topics that are useful for all library science specializations. Human-computer Interaction: This course prepares students for careers as web service librarians and explores the factors that influence use and acceptance of information technology. Theories that describe how people seek information are examined, including cognition and sociology. Students examine the impact society, culture, and ethics have on human-computer interactions. Foundations of Information Systems: Students become familiarized with contemporary information systems and examine them from a user's perspective. Research methods are explored, including online surveys and network analysis. This course introduces students to the process of collecting, analyzing, and displaying data. Acquired skills will prepare you for a career as a metadata librarian or data services librarian. Organization of Information: Theories of organizational and social behavior are examined to understand the most effective approaches to managing information and communication technologies. Students learn how organizational intelligence influences the dissemination and storage of information in the digital world. This knowledge is utilized by librarians who work at information centers, public libraries, and digital libraries. HOW LONG DOES IT TAKE TO GET AN ONLINE MASTER'S IN LIBRARY SCIENCE? Most master's in library science online programs can be completed in two years and range from 36 to 48 credits. Program length varies depending on core curriculum and specialization requirements. Students may be required to complete an internship or master's thesis, and some programs require coursework in digital literacy or information technology. The structure of online programs influences the process of degree completion, and most programs either utilize a cohort model or have rolling admissions. The cohort model emphasizes peer interaction and support. Students follow a fixed plan of study and progress through coursework together. Cohort programs usually offer admission twice a year. Programs that cater to self-paced learning often use rolling admissions and admit students year round. Students progress through the program at an individual pace and complete more or less courses when it is convenient for them. They can take time off from coursework if necessary. Post-Master's Certificate in Data Curation: This certification program is for master's level graduates of library science who work in libraries, archives, museums, and businesses. It prepares students to take the lead on their organization's data management procedures. The program consists of 10 courses that focus on areas such as database systems, information analytics, and policy-based data management. School Librarian Certification: If you are interested in pursuing a career as a school librarian you can complete a brief certification program that builds upon the master's of library science online curriculum. While certification requirements vary state-to-state, general requirements include two years of teaching experience, 15 hours of additional coursework, a practicum experience, and a passing score on the state teacher licensure exam. Accredited programs adhere to measurable criteria specified by accrediting bodies. Regionally accredited institutions are considered the top providers of quality higher education, and there are six major regional accrediting bodies in America. Nationally accredited academic programs are not as standardized as regionally accredited programs but are on average more affordable. Both regional and national accrediting agencies influence curriculum, learning resources, and student services. Online programs that are accredited by the Distance Education Accrediting Commission (DEAC) have undergone thorough peer and self-examination. The commission ensures that programs meet academic goals and provide a standard education that is comparable to other accredited programs across the nation. Program-specific accrediting agencies provide best-practice models designed to standardize professions. The American Library Association (ALA) is the oldest and most expansive library association in the world, and through the accreditation of master's in library science online programs, the organization implements its core values in areas such as advocacy, information policy, and diversity and inclusion. Uniform accreditation is made possible by the U.S. Department of Education (USDE) and the Council for Higher Education Accreditation (CHEA). While the USDE does not accredit programs, it provides oversight and holds accrediting agencies accountable. CHEA provides quality assurance and promotes the academic integrity of higher learning institutions and programs. Students enrolled in academic programs that are accredited by DOE or CHEA are eligible for financial aid and can rest assured that they are receiving the best education available. Comprehensive databases of accredited schools and programs are available through the USDE and CHEA websites. "Librarian" is an all-encompassing title that generally applies to anyone working in a library or who holds an MLS degree. While many with the title gravitate towards careers in the public or academic domains, librarians can find employment opportunities within government, medical institutions, corporations, and museums. Where there is data to be collected, materials to be organized, and research to be done, a librarian can find a niche. Below are a few of the potential careers you can pursue after finishing your online master's in library science program. Public Librarian: These librarians work for and with communities to provide a number of free services, including homework help, resume prep, reader's advisory, and research. Depending on the size of the library, public librarians may perform in all roles, from user to technical services, or in only one. Library Director: The library director is in charge of overseeing the daily business of the library. They are in charge of staff changes, managing all employees and departments, analyzing and revising how the library is run, and creating budget reports. Becoming a library director requires several years of managerial experience and about ten years of experience working in a library. Archivist: Often working with old, rare, and fragile materials, an archivist's job is to preserve items for historical posterity. They may work with any media, including books, film, sound recordings, and maps, and often focus their efforts on one time period. They may work for special, academic, or public libraries. Reference Librarian: These librarians do everything from conducting research for patrons to recommending materials to be added to the collection. They answer questions, recommend resources, conduct reader's advisory, and lead classes. They work for public, academic, and special libraries. School Librarian: Also called "School Media Specialist," these librarians work for public and private, K-12 schools. They work closely with teachers and administration to create collections and lesson plans that meet the educational standards. They instruct students on how to use the library and find materials for student and teacher projects. Most employment opportunities for librarians require a master's in library science degree, and the more experience you have working in a library setting, the better your pay will be as long as the budget is there. Below, we look at the entry, mid-career, and late-career salaries for the five job opportunities above. Though the projected job growth for librarians as a whole is only 2% between 2014 and 2024, the research, analytical, and organizational skills gained in this degree can be applied to positions in nearly any field that handles information. Pursuing a career that revolves around research or business analytics may require further training or for you to focus your degree on classes that will prepare you to work in a non-library setting. The five alternative career opportunities listed below do not require a master's degree in library science, but an MLS may give you an advantage over other applicants to related positions. Professional library organizations set education and employment standards. They give members exclusive access to annual networking conferences, publications, digital resources, and discounts for continuing education opportunities. It's a good idea to join an organization that aligns with your career goals while you're still a student. Member fees for current students are reduced, and you will have access to a group of professionals who can answer your questions and guide you through your studies and job search. American Library Association: The oldest professional library association, the ALA sets the standard for librarian education. Students can join the ALA and their state branch for a discounted annual price, and receive up to 75% off of their conference registration. American Association of School Librarians: The AASL is a division of the ALA that focuses on the needs of school librarians. Members receive a subscription to eCOLLAB, a repository of resources from continuing education and professional development events. Students can join at a discount and maintain student member status for up to five years. Public Library Association: The PLA creates initiatives and opportunities for public librarians to grow and change along with the new demands on public libraries. To become a PLA member, you must also join the ALA. Students pay $32 annually for membership. Special Library Association: The SLA encompasses information professionals and nontraditional librarians who work in specialized positions for the government, businesses, law firms, and any number of organizations that aren't traditional libraries. Student members receive a 65% to 75% discount on annual development conferences. When looking for ways to finance your online master's in library science program, the first thing you should do is fill out your FAFSA. As a graduate student, you will file the FAFSA as an independent student, and it will determine the amount of federal and school loans you are eligible to receive and whether you qualify for work-study. Professional organizations, like the ALA, offer scholarship opportunities for students enrolled or enrolling in accredited programs. You don't need to be a member to apply, but they are highly competitive. Use the resources below to find ways to finance your degree.